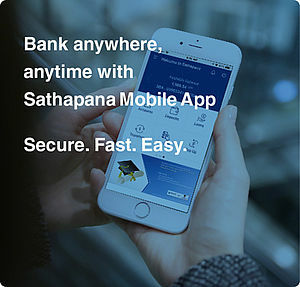 Board of Director | SATHAPANA Bank Plc. 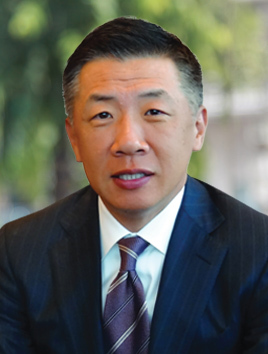 Dr. HAN Chang-Woo is the founder, Chairman and CEO of MARUHAN Corporation of Japan, which operates and manages a variety of entertainment/amusement facilities such as golf courses, driving ranges, bowling alleys, game centers, restaurants and pachinko parlors (Japanese pinball). 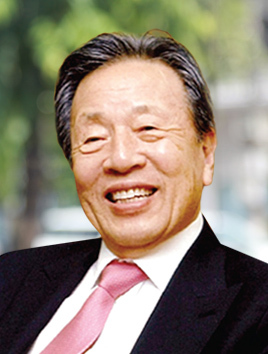 He founded MARUHAN Corporation in 1957 and made its business grow rapidly to earn over US$ 25 billion of annual sales. MARUHAN Corporation is known as the leading company of the industry in Japan. The success in the company’s business growth comes from his strong energy towards pursuing customer satisfaction and high challenging spirit. 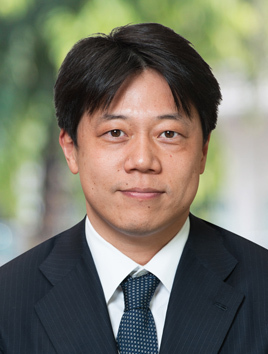 Currently, he has been actively participating in several associations and working as Administrative Director of Han Chang-Woo Tetsu Cultural Foundation, Director of the Kyoto UNESCO Association, Administrative Officer of the Kyoto Chapter United Nations Association of Japan, and Director of Tokyo Philharmonic. He obtained his Bachelor of Political Economics degree from Hosei University in 1953. Mr. HAN Ken joined MARUHAN Corporation in 2000. Since he was appointed as Director of MARUHAN Corporation in 2007 and then Managing Director in 2014, he has been responsible as Chief Finance Officer looking after Finance and Accounting of MARUHAN Corporation where its business is expanding globally. He also serves for the group’s ASEAN business activities as Director and CEO/President of MARUHAN Investment Asia Pte. 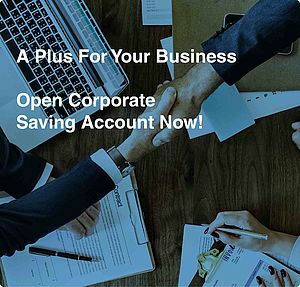 Ltd., which is a Singapore-based financial headquarters of MARUHAN Japan ASEAN Financial Group, Managing Director of Sathapana Limited Myanmar, and Director of MARUHAN Japan Bank Lao. He obtained his Bachelor of Law degree from DOSHISHA University in 1997. Mr. SHINOHARA Katsuhiro has a history with Cambodia that spans for more than 40 years. He first arrived in Cambodia in 1967 as Japanese Diplomat and spent his first 2 years in Wat Ounalom Pagoda in Phnom Penh, 7 months of which he spent as a monk, studying the Khmer language and culture, before taking up a position as Secretary Officer at the Japanese Embassy in Cambodia. After returning to Cambodia for 2 more 3-year postings as a Senior Consular Official at the Japanese Embassy in Cambodia (from 1991-1994 and 2001-2004 respectively), he eventually cemented his relationship with Cambodia by serving as the Japanese Ambassador to the Kingdom of Cambodia from 2007 to 2009. He served as an Independent Director and Committee Member at Sathapana Limited, and is currently the Deputy Chairman of the NGO CIESF (Cambodia International Education Support Foundation) of Japan and serves as the Chief Representative of its Cambodia Office in Phnom Penh. 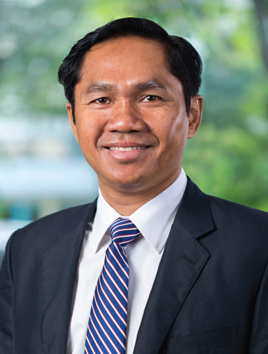 Graduated in 1997 from Maharishi Vedic University (MVU) in Cambodia, Monivann now is a Chairman of Audit Committee and an Independent Director of SATHAPANA BANK PLC. and a member of Australian Institute of Company Director (AICD). 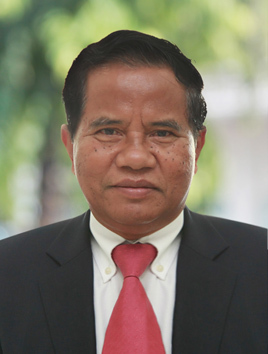 He has more than 20 years of professional business experiences, in which almost 15 years serving as Company Director for various local & international companies, by starting his career as auditor of E&Y Cambodia for 3 years and 8years as Finance Director and Board of Director of Sepakor Angkor Co., Ltd. In 2006, Monivann joined Sathapana Limited (SPN), the leading MFI in Cambodia, as Independent Director & Chairman of Audit Committee and 3 years later he became Chairman of the Board of Directors before SPN transforming into a Commercial Bank in 2016. Besides that, Monivann now is also an Independent Director and Head of Audit Committee of Sihanouk Ville Port Authority (PAS), a listed company in CSX, Chairman of Mega Leasing Plc., a financial leasing company, Chairman of Aplus Consulting Co., Ltd., a leading HR company, Chairman of MVU Investment Plc., Vice Chairman of CIC Investment Plc. (Cambodia Investor Club), and a Vice President of Siem Reap Oddar Meanchey Chamber of Commerce (SOCC). Mr. KIM Vada has over 37 years of working experience at National Bank of Cambodia (NBC), starting as Head of NBC’s Kandal Provincial Branch up to Director General of Banking Supervision Directorate. During his time at the central bank, he held several senior positions in the banking field such as risk management (market, credit, liquidity, operational risks, etc. ), corporate governance, and business strategy. He played a key role in restructuring the banking system successfully in Cambodia during the 2000s - developing a competitive, safe and sound banking system which has been well regulated and supervised. He has also effectively mobilized savings for financing to stimulate the growth of the Cambodian economy. Mr. Kim obtained a Bachelor of Law degree in 1975, a Bachelor’s Degree in Banking in 1985 and an MBA majoring in Finance from Charles Sturt University of Australia in 2003. He has been a lecturer and a guest speaker at some of the well-known universities in Cambodia. Moreover, for the last 10 years, he has been actively participating as a prominent speaker in various conferences and seminars pertaining to the regulatory and supervisory framework, banking and microfinance supervision, mobile banking, as well as financial inclusion both locally and internationally. 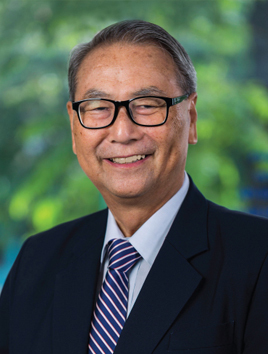 At the international level, he held the position as the Chairman of Asia Pacific Rural and Agricultural Credit Association (APRACA) from July 2012 to June 2014, and as an executive member of Alliance for Financial Inclusion (AFI) from January 2015 to June 2017.